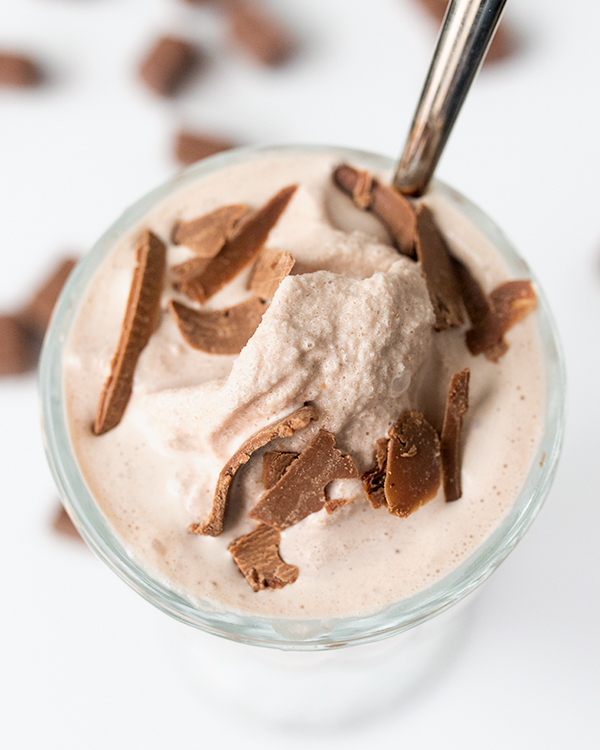 Make this delicious chocolate frosty at home – without cool whip. No ice cream maker needed either! 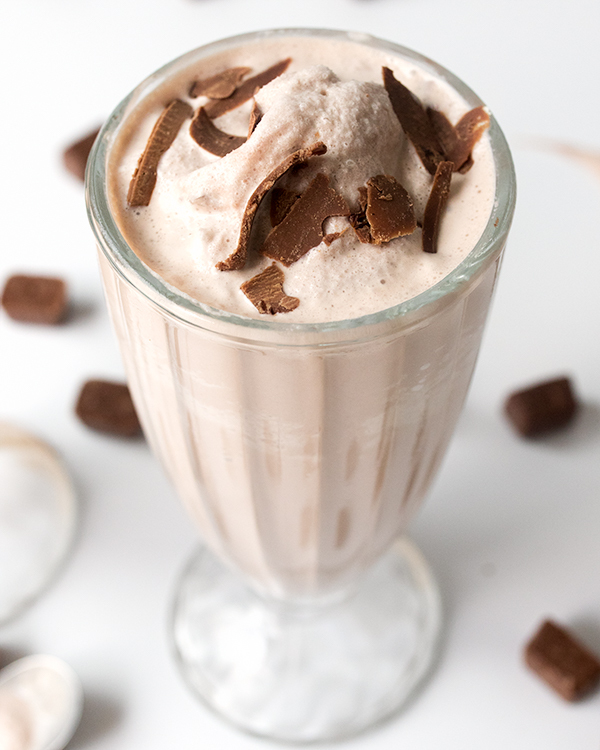 Chocolate frosty – so good on a hot day! You don’t have to venture out to your nearest fast food chain to get one though. Make this one at home, and it might just become your new favorite (and save you a ton of money!). A lot of chocolate frosty recipes out there start with a mixture of cool whip and condensed milk. 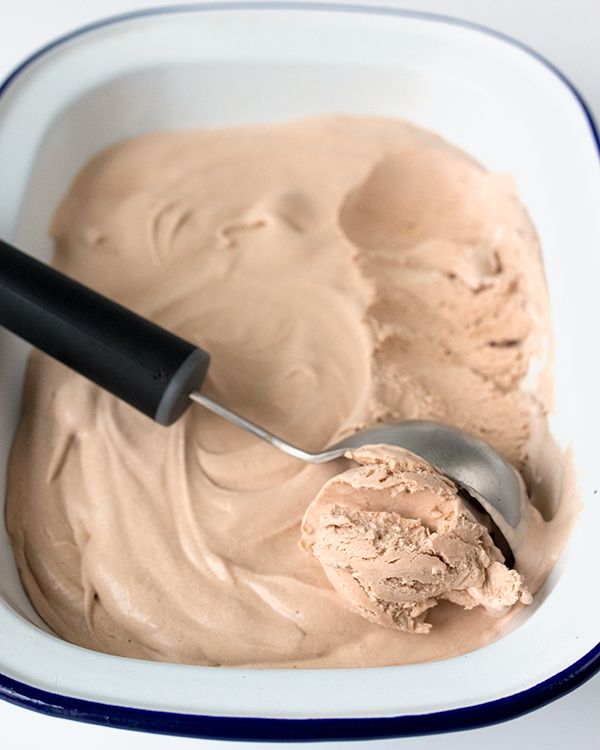 My version starts with my easy no-churn homemade ice cream. A simple mixture of whisked heavy cream, condensed milk, chocolate syrup and a little cocoa. 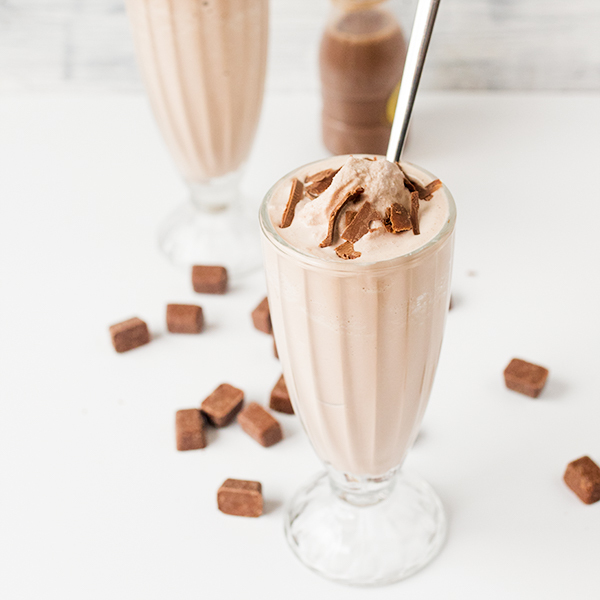 Once you got that ice cream in the freezer on stand-by you can easily whip up your own frosty whenever you feel like it (added bonus – this means you’ll also have chocolate ice cream in the freezer too – you know – for ice cream emergencies). To get that creamy but icy thick texture, it’s a simple case of blending the ice cream up with some chocolate milk and crushed ice. This stuff is rather indulgent, so although the recipe is for two glasses, I usually split it between four! Pour the whipping cream and condensed milk into a large bowl. Add the chocolate syrup and chocolate powder, then whisk using an electric whisk until thick. You want the mixture to just hold it’s shape when you lift the whisk out of the mixture. Place in a freezer-proof container (a bread tin lined with baking parchment works well), cover with plastic wrap and freeze for at least 6 hours. When you’re ready to make the chocolate frosty, take the ice cream out of the freezer and leave for 5-10 minutes to soften slightly. Place all of it into a blender along with the chocolate milk and crushed ice. Blend at high speed until everything is blended together and the mixture is thick. If the mixture isn’t thick enough, you can blend in more crushed ice. Spoon into two large glasses and serve with wide straws or a spoon.